I have wanted to try this out for quite some time and was finally able to have a crack at them when the boys were away. 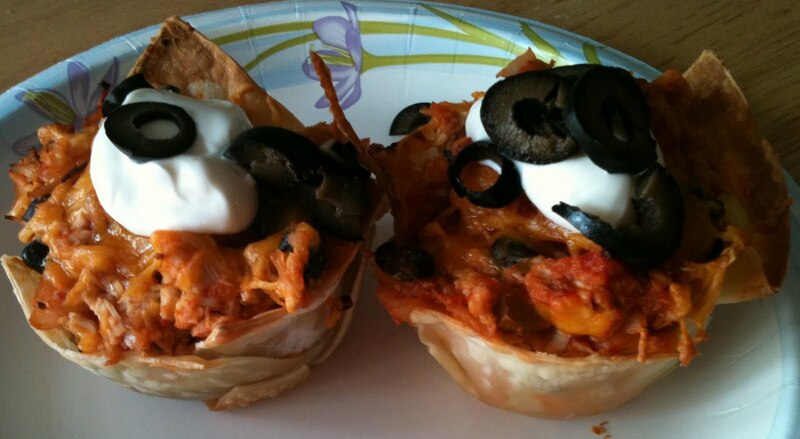 These taco cups are very easy to make and were tasty! Place the filled cups in the oven for 10 - 15 minutes until the filling heated trough. Top the cooked taco cups with sour cream and enjoy!